Following the challenge that she liked to call "Phase 1," Loose Cannon pushed on, attempting to rid herself of the mud she accrued on the short climb. The Kirin that was racing had stopped to check on her but she was alright. "Thanks for warning me, even if I still miscalculated the jump. Adrenaline can mess me up sometimes." She could feel the rain starting to slow down, the storm was not really present here at all. Maybe the stream was unintentional, this wasn't a complete death race, an exaggeration that she enjoyed considering that she felt like she was going to die then. She had room to speed up here, but she wasn't sure whether it was worth the strain. As far as she knew, they were perhaps a quarter of the way through the race, it was not a home stretch. She was not a distance runner, she would have to preserve her energy as much as she could. Surely nothing could go wrong here. There were deer and other wildlife happily living around with no care for danger. She could hear the birds chirping, the snake's hissing- okay, not that safe, but still. "This doesn't feel right to me. I know this was advertised as a simple race, but with what happened before, it felt more like a sabotage," She muttered out loud. She ran up beside Applejack. "Hey, so, this is my first race and all, but did any weird stuff happen any of the other times? Just asking y'know, in case, maybe, sabotage... or something." She paused for a moment to listen. "Like, I'm not sure what was up back there, I don't know anything about weather. Or, maybe I'm just paranoid, like, I'm not noticing something that should be noticed." It would be okay, she just needed to pay attention and keep a good pace. "Were you on the bridge? Was it okay? I mean, you made it so..."
SHE'S GONNA DO IT. SHE'S GOING TO JUMP. This was supposed to be a regular race right? So why did it feel more like a fight for survival? She was not expecting this kind of weather, it was pouring with rain, and if she had to guess, the stream up ahead was going to be ferocious. She had been through this area a couple of times, while not exactly on this path, she did know that there was a stream going through it. It wouldn't really be fit to call it a stream in this weather. She stopped at a fork in the path. One path went up higher than the other. Her range wasn't sufficient enough to notice much further down. She noticed a pony go up the top path which told her that both options were viable. If she had to guess, the bottom one had a bridge and the top one... had a bridge also? Maybe. Perhaps it would be easier if she could have read the sign. She decided to take the top path, it was further away from the water and so she thought it might be safer. She didn't know which route was faster but she didn't really care. She was wrong, there was no other bridge up on this path. She could make out the other side, maybe there was supposed to be a bridge here? It didn't really matter because she knew she had the prowess to spring herself across the gap. She stepped back a couple of steps before dashing forward to leap herself across the gap. Of course, she may have misjudged it. She made it, just barely. Her front hooves made it and she had to take the moment to pull herself up. Yeah, maybe she should have done the bridge instead, would have been faster too, maybe. Well, that didn't matter anymore. "I'm okay, I'm okay. I think I'm okay," she said to no one in particular. Her adrenaline rush faded away. "Yeah, okay. Right yeah, I... I... Should keep going." Wait, was this a physical test or a mental test? Hey, was that her commanding officer here? She didn't really bother to question the commander's attendance considering that she did not really know her that well. Something seemed different about the body shape though. Was she wearing something? It was a bit thick from what she could make out. It didn't seem very practical to Loose to be wearing something as such. That Stallion ahead of her just charged right through that rubble. Awesome. She recognised that voice, it was Boulder right? She met him a while back, never truly got to know him that much, but he seemed like a cool dude. "Way to be flashy bro, but thanks for the aid Boulder," She complimented the stallion. "Good to have you around to make things easier on the rest of us." She chuckled. She heard a mare come closer towards her. She didn't recognise this mare at first, but when she mentioned her name it sort of clicked inside Loose's name. "Coloratura? You mean that Coloratura? Sorry if I'm not more excited, I'm not entirely a big fan of yours, but let's just say that music has a higher impact on my life for obvious reasons. I'm not sure if I want to call you Rara, it doesn't sound right for me to say that under these circumstances. But yes, it's nice to meet you too." She noticed the pony ahead of her stop momentarily to place themselves beside her. Of course, she knew this pony, nopony could live in this town and not know them. "I''m doing fine thank you Applejack, it's just the first section, I'd be damned if I was struggling now. But I must admit this is my first participation in this event. I'm not very much of the running pony, but I've got to participate in it at least once before I could be potentially leaving. I'm not sure if we've truly met before, but if you recognise the name Dr Flora anywhere from perhaps AppleLoosa or something, then you've definitely met my family. You didn't really have to hang back for me, my eyes might not do much, but I've prevailed." The Running of The leaves, the annual event to help the transition towards Autumn. This was the first time Loose would be participating in it. She wasn't much of the runner, she was more of a fighter type, but as a resident of the town, she would have to do it at least once. She forgot what number they gave her. She didn't think it really mattered, it was just a method of tracking racers, but in a small town like this it wasn't really necessary was it? She wasn't going to come first or second. Could probably settle for third, she didn't care, it was still higher than other blind ponies. Wait, did any other blind ponies participate before her? If not she would have to make a great impression. She didn't want to lead the pack, that was for sure. She didn't know if the course changed every year or if it was the same, but even if there were directions, what were the chances she'd be able to interpret them? It was a common trope in fiction that there's always a split path and they always go down the wrong one. Tropes like that seem to have a way of seeping into reality. Wait, poor weather? Will it be relevant? This was a race, but she kind of felt compelled to help anypony that might get stuck along the way. She might be the one who gets stuck herself. She'd have to deal with it when it comes up. Was that Pinkie Pie she heard? She was in the race? Pinkie Pie had a clear defining voice that was easy to pick out over the crowd. Is reality bending nonsense allowed in the race? Pinkie was a good pony, she wouldn't use any of that. Mouth hydrated and senses up and running, she made her way over to the starting line, or somewhere near it, where all the others were. "The course is clearly defined isn't it?" She muttered to nopony in particular. Upon hearing the whistle, she paused for half a second not to collide with anypony else, this wasn't a sprint, before launching off herself. She had to pace herself, not for the sake of her body, but for the sake of her navigation. "So, are there any other pioneers here? I probably should have asked that before we started." It’s almost like this was made to drag me out of limbo. Loose Cannon is here to lose, with style. Yeah. 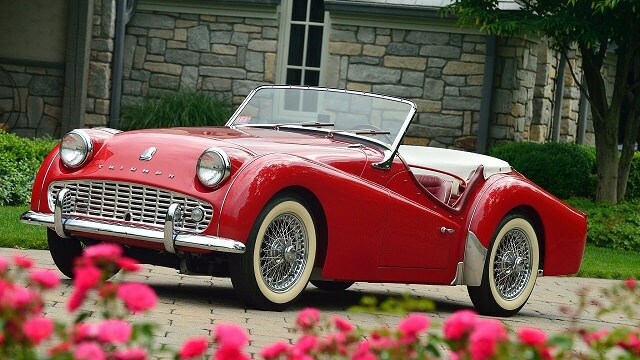 Thems were nice cars back then. You know what? Maybe I can play Mane 6. 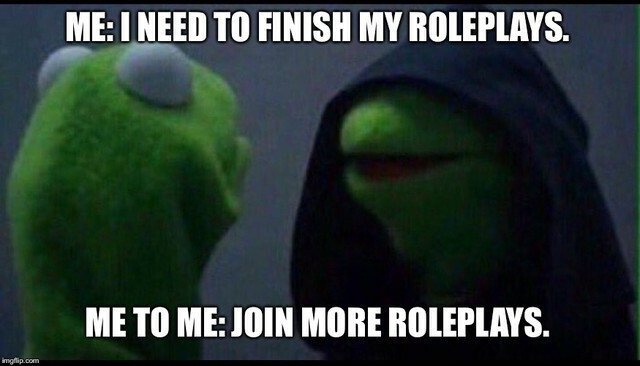 Wait, ain’t I already doing like ten different roleplays? You should get this thread moved. Right, just apply negative values to get destruction. Let's leave the region up to RNG. I don't think I really care what age I play her at. I'd expect her magic to be somewhat supportive. This sounds cool, but I'm not so sure about which Mane I would choose. Probably the only Mane I would ever think of playing at this moment is Sweetie Belle. Yeah, It aired on Nick Jr in Australia too, that's where I watched it when I was younger. A very genuine and insightful post you've got here. Man, the umbilical brothers are so great. I don't recall ever seeing it on ABC1. Maybe I just didn't look hard enough? It was always on Nick. Okay, it seems that the airing on freeview was really messed up. "Sister, I have to go now, the law is calling me." Placidity walked out of the front door, adjusting the headband that was almost always present on her head, one of the things that set her apart from her sister, who refused to wear one. She was accepted into the Twilight guard, but her sister wasn't at the time. It wasn't entirely a surprise, she was more social than her sister was. Her sister focused more on the theoretical aspects rather than her own focus on the practical aspects. That didn't mean Tranquility was incapable of doing therapy. It was kind of a good idea for Tranquility to stay back. Somepony had to keep the business up and consistent, even if the potential output was lowered. "Right good luck with that, I'll just be here, studying you know. Slow day and all," Her sister replied over their personal connection. Their connection was the strongest that they have ever been able to achieve and it's no surprise considering they've spent basically their entire lives together. 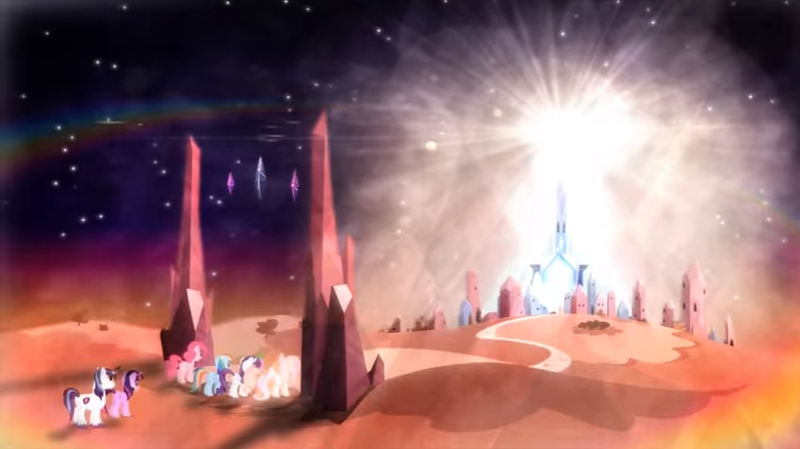 It's only theorised, but it is a possibility that their connection could cover all of Equestria, which at that point, is it even their own prowess that's doing that, or some sort of third party amplification? They had never spent long enough away from each other to test those theories enough. "Alright if that's what you want to do," She replied making no point to go any further into what she suspected. Now wasn't the time for that. She had to meet up inside the castle, of which she had never entered before. Quite an experience it would be to enter the castle for the first time if it was not for professional reasons. It was kind of hard to imagine that this once humble town could suddenly change because of the existence of this castle. Rumour had it that it suddenly appeared out of nowhere. They moved there after its creation so they weren't able to witness it for themselves. The Twilight Guard, established because of the rapid expansion of the town. Named after her majesty Twilight Sparkle, although she was perhaps the least majestic of the reigning Princesses, it was just in her personality as far as she knew. She was surprised that her sister had not found a way to analyse the Princess. Most at this stage would be applying to the Twilight guard for the purpose of direct defence, but they also made it clear that they were looking for support roles too. Perfect for her, combat and conflict can be traumatic, even for soldiers, and with Ponyville being a hotspot for danger, there's plenty of trauma that needs to be fixed. She made her way into the castle where she made her way over to the meeting room. As far as she knew she was the least combatant member of the guard at that moment so it was going to feel a bit weird at first, but it won't matter because they will all remember her when they're still mentally healthy. Psychic combat, she had never really considered that. She had always developed her magic for the purpose of helping others, but there may be a situation where she will have to hurt someone to save someone. Entering the meeting room, it appeared that she was the third one there. Applejack, Element of Honesty was there alongside who she presumed was Fire Walker. Didn't really matter if she didn't entirely remember her because she was going to learn everypony's name anyway. "I Placidity, am honoured to be invited into this new branch," She formally addressed publically, the artificial voice resonating in the minds of anything that was present in the room. "You're going to be glad when your mind isn't collapsing on itself."